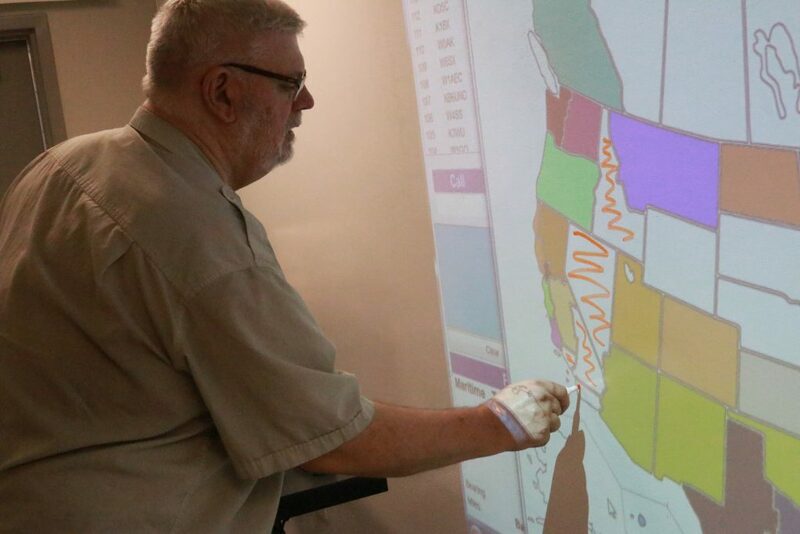 ST. GEORGE — Members of the St. George-based Dixie Amateur Radio Club made contact with fellow ham radio enthusiasts in 48 of the 50 U.S. states, plus two foreign countries in a 24-hour period last weekend. The event, which started at noon Saturday and ended at noon Sunday, was part of the American Radio Relay League’s popular “Field Day,” a friendly competition held annually since 1933. 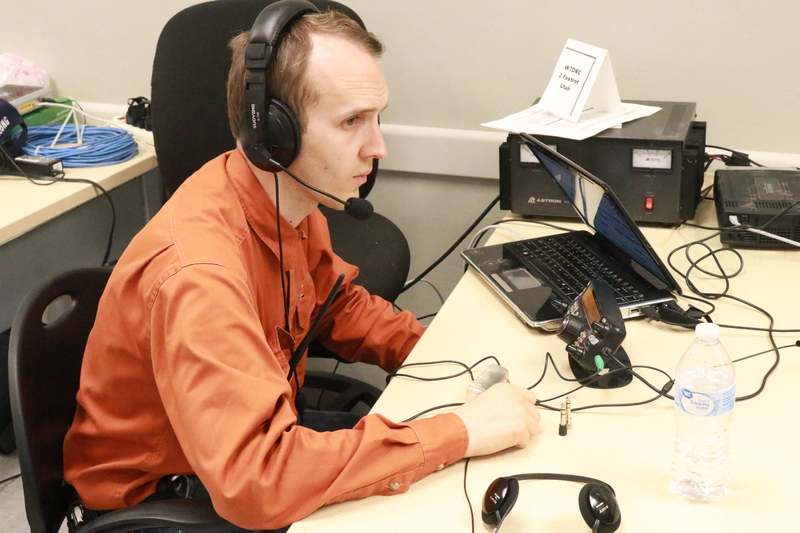 Thousands of amateur shortwave radio operators all over North America participated in the event, each trying to make as many unique contacts as possible during the contest period. 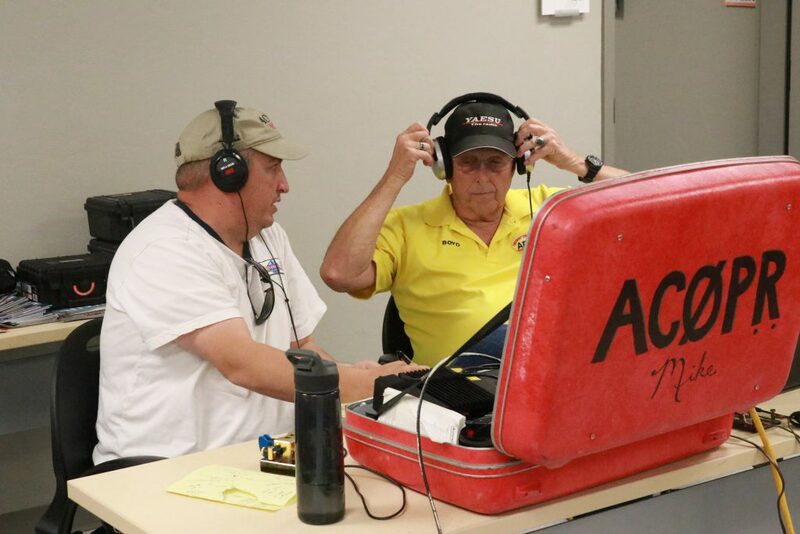 Ric Wayman, past president of the Dixie Amateur Radio Club and supervisor of this year’s activity, said the St. George club members, operating under the call signs W7DRC and NA7UT, logged 319 contacts in 24 hours. They operated out of the Dixie Technical College’s Emergency Response Training Center, located in the former terminal building at 610 S. Airport Road. 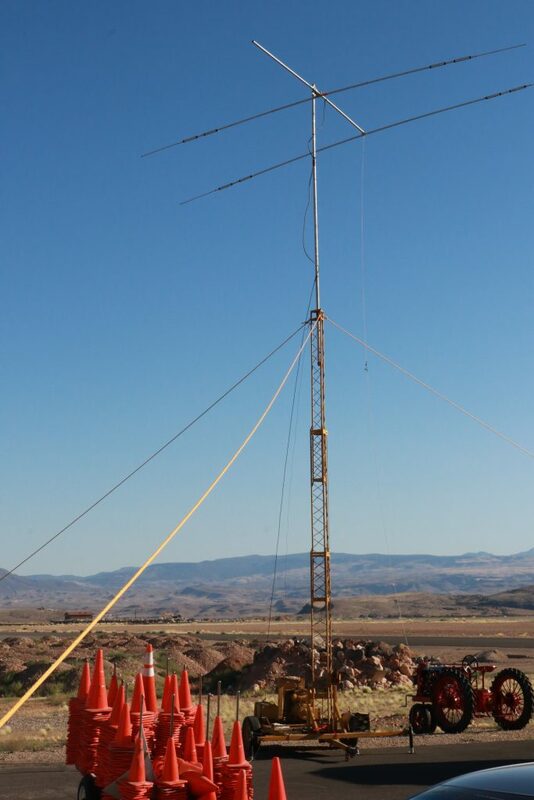 Club members used three separate antennas set up outside the building to try to catch messages via the airwaves. The only two states the club didn’t make contact with were Delaware and Maine, Wayman said, adding the two foreign countries contacted were Canada and Chile, in addition to the U.S. territory of Puerto Rico. 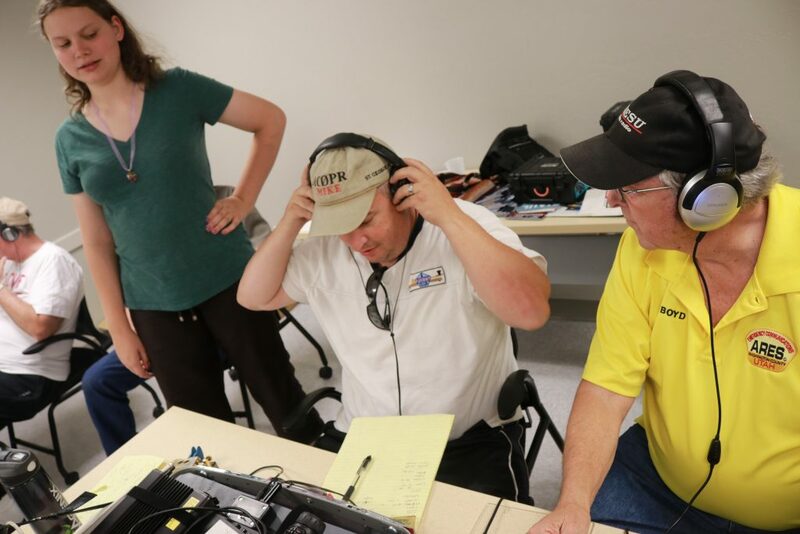 There were no prizes involved in the contest, as the event is staged primarily for fun and practice, and to introduce new people to ham radio. Approximately two dozen club members and several guests participated in this year’s Field Day, including five under the age of 18, Wayman said. Most were from the St. George area, but a group of four individuals from Hildale and Colorado City also participated. 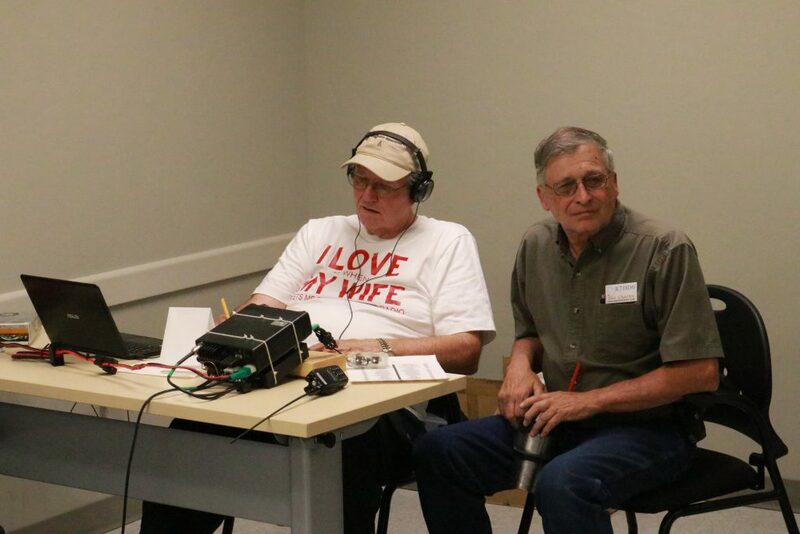 “It’s a fun hobby,” said Harold Wells, president of the Dixie Amateur Radio Club, which meets on the third Wednesday of each month, at 7 p.m. in the American Legion building in St. George. 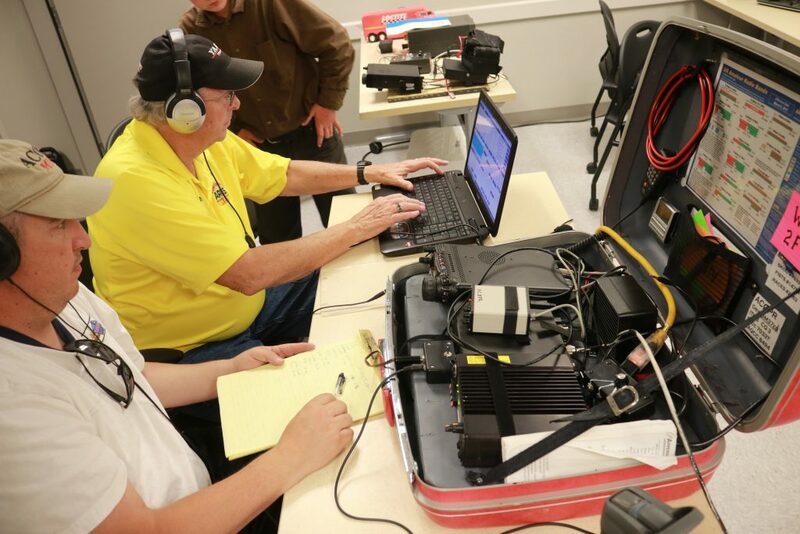 The club, which operates as a nonprofit organization, is a formally affiliated club of the American Radio Relay League, the official national association for amateur radio operators in the United States. I appreciate these people continuing with these preparations in case of an emergency, this would be an invaluable asset for our communities in the event of a catastrophe, I wish we could figure out how to get more young people interested and participating. Nice try nerds but I probably talked to more people on channel 19. 5W? Pffft. Got me a footwarmer. 1kW baby. Lemme just say that AM modulation is best modulation. Real men output massive amounts of spectral energy on BOTH sidebands AND carrier freq. The feminization of ham radio started with fussy modulation techniques like SSB. Don’t EVEN get me started on the pansy digital modes. 100mW? Wow aren’t you a special snowflake? How long can you run that foot warmer on battery power. Who needs that kind of power when you can talk anytime of the day or night from Idaho to California on a 1 watt handy talky. You can’t talk to the person you want because of the skip. 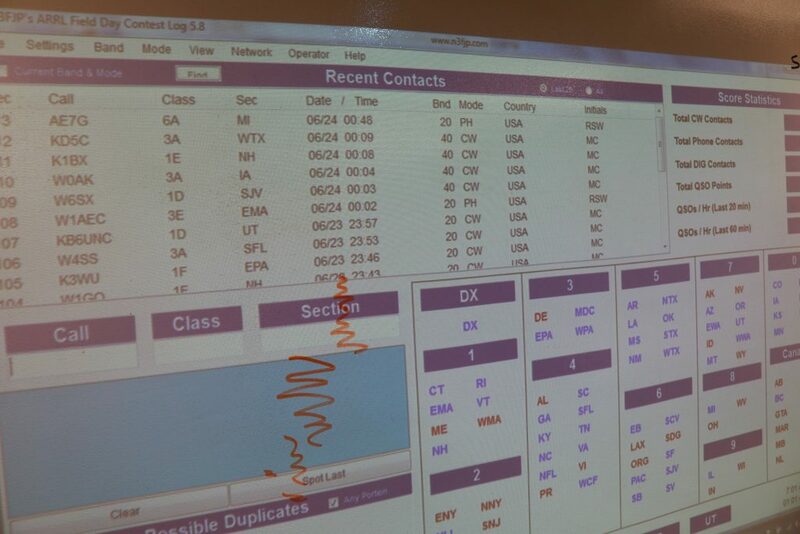 You might talk to your 1 kw buddy if you’re lucky. I can run longer than you would think on battery power since I operate mobile from my Tesla which packs 100kWh of go juice. You’ll know when you see me around town because I was the only one with big enough huevos to take a hole saw to my Telsa roof and mount a quarter wave. When I travel I only take downhill roads which keeps my battery pack at full charge via regenerative braking. And when I was a kid I use to carry my brother to school on my back and it was up hill both ways. Bro, do you even do physics?